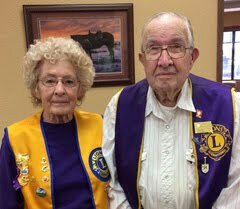 Lions are proud of their heritage — and of their service to the community. 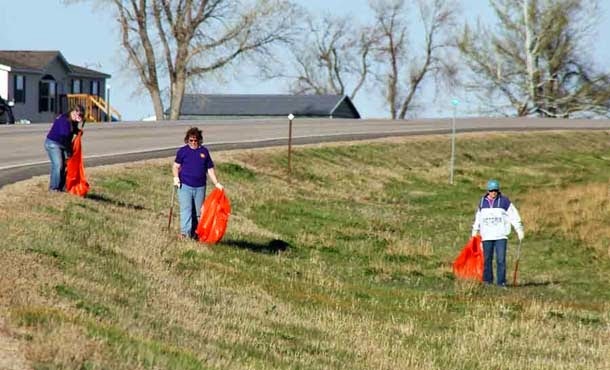 So pardon our Lion "pride" (sorry for the pun) if we boast a little about what must surely have been a record turnout for the Highway 34 Clean-up yesterday afternoon (4/28/15) west of the Belle Fourche Country Club toward the Wyoming border. 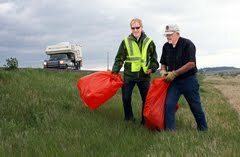 While we keep lots of records, we don't have a precise count of Lion volunteers who showed up to pick up trash along both sides of the highway. Lion P.J. Sloan chairs this project, and he had lots of help yesterday. We suspect there were about 15 Lions involved, and we couldn't have had a better day to be traipsing up and down the highway right-of-way. All the debris was collected in heavy duty plastic bags and dumped at the State Highway shop adjacent to the golf course. No count on that either, but the dumpster was full! On the heels of that event, Lions members and guests squeezed in to the meeting room at The Stadium for our regularly-scheduled meeting. 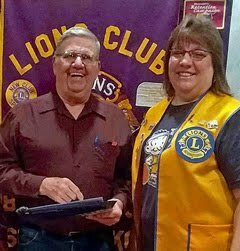 And this was a special session, which included the Lions Zone 2 meeting chaired by Lion Del Neumeister, who gave a rundown on zone accomplishments and offered a few suggestions on ways of acquiring and retaining new members. 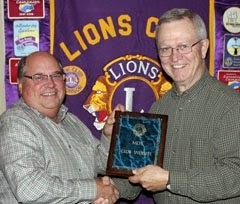 We were pleased to be joined by members of the Newell Lions Club, led by their president Lion Carol McCarthy. 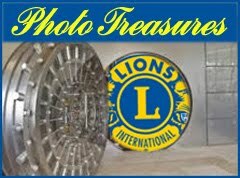 You'll see a few of their members depicted in our Lions Photo Gallery. 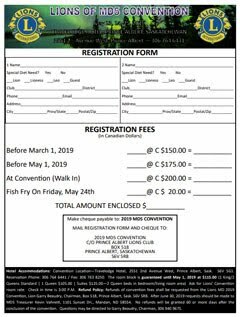 Lion Joyce Drabek reported that the club grossed some $2,860 from another successful Dodgeball Tournament and that we hope to net about $1,300 after all expenses are paid. 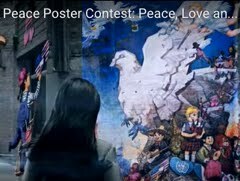 Some 10 teams participated in the event, and a tournament is already tentatively scheduled for March of 2016. 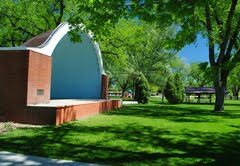 Among other items on the agenda at this meeting: Belle Fourche Lions will be building another picnic shelter, and Saturday, May 16, has been set as a tentative day for construction work, with an alternate date one week later on Saturday, May 23; volunteers were again requested for the Vision Screening slated for tomorrow at the Belle Fourche Middle School; and the club voted to provide meals for "Teen Camp" participants on Tuesday, July 14 — further details will be announced at a future meeting. 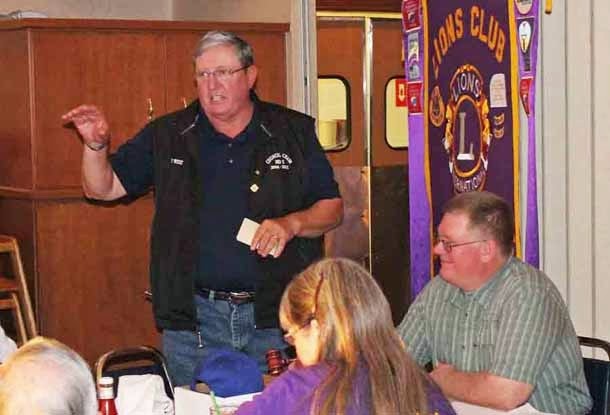 For a complete rundown of the meeting, you can read the minutes of this meeting — and all previous meetings for the past year or so — as compiled by Lion Secretary Del Neumeister. Simply click on the MINUTES tab at the top of this page. 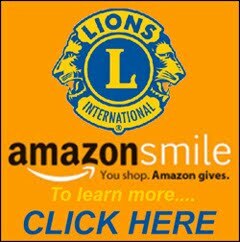 Lions 4th Annual Dodgeball Tourney is a success!